Pediatricians Call For More Testing And Tighter Rules On Lead Exposure : Shots - Health News Citing growing evidence that no amount of lead exposure is safe for kids, the American Academy of Pediatrics has called for tighter regulations on the amount of lead in house dust, water and soil. 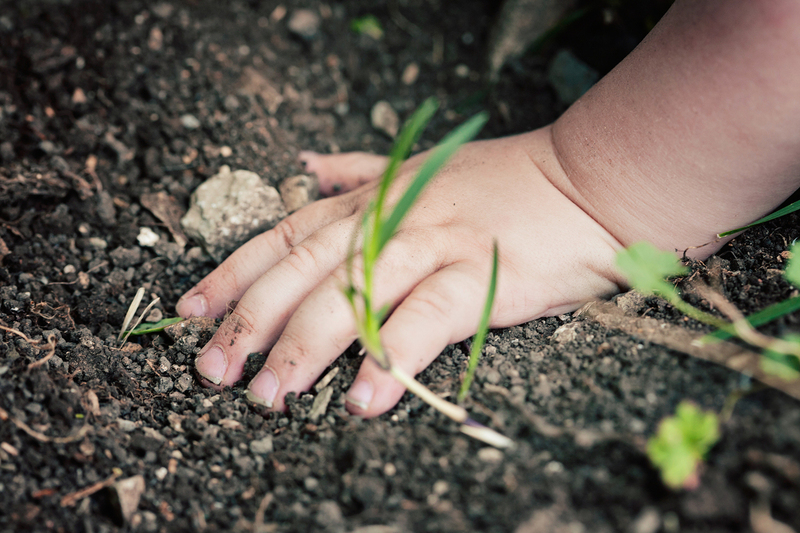 Children can encounter lead in contaminated soil, paint, water and dust. "Most existing lead standards fail to protect children," members of the AAP's environmental health council report in a statement published Monday in the journal Pediatrics. Standards for the amount of lead that can be present in paint, water, dust and soil are not based on health standards, the pediatricians say, but instead on what's been feasible to attain. Such standards, they write, create "an illusion of safety." "We've taken lead out of the paint and out of the gasoline, but the history is still present," says Dr. Jennifer Lowry, a co-author of the academy's report and a medical toxicologist with Children's Mercy, a hospital in Kansas City, Mo. Older homes with paint and plumbing from earlier time, or homes that stand on what was once an industrial site, can have contaminated dust, water and soil. When children ingest those materials, the metal can get into their bloodstream. Human bodies have no use for lead, but it can be mistaken for calcium or iron, settling in bones and disrupting important biological processes. And children's bodies absorb more lead than adult bodies do. "Lead is a neurotoxin," Lowry says. "It gets into the brain and it can cause damage." It's unethical, of course, to purposefully poison kids with varying amounts of lead and then see what happens with their blood lead level and how that corresponds to developmental problems. So it's hard to say what the effect of exposure to low levels of lead is for an individual child. But on a population level, low-level lead exposure has been shown to affect IQ, attention and behavior. By some estimates, preventing children from coming into contact with lead would prevent the loss of more than 20 million IQ points. According to the Centers for Disease Control and Prevention, if a child's blood has more than 5 micrograms of lead per deciliter of blood, it's a red flag for health care providers. It means that child is in the 2.5 percent of children in the country with the highest levels of lead in the blood. "But at that point, when we find out that they have an elevated lead level, the harm has already been done," Lowry says. "We cannot have our children be canaries in the coal mine, where they get exposed first and then we have to try to fix it. If we want to actually do the right thing, we should prevent it from happening in the first place." The academy recommends that pediatricians and primary care providers proactively test children for high blood lead levels, especially if they are between 1 and 2 years old and live in areas with homes built before 1960. It's also calling for updated national limits for lead in house dust, water and soil, and for federal funding for initiatives like removing lead paint and dust from public housing and replacing the lead service lines that bring water into many homes. "We should know where the old houses are that were built before 1960, where the soil is next to the highways, where we have these lead problems and actually fix it before we send our kids out to live in those environments," says Lowry. An estimated 37 million homes in the United States still contain lead-based paint. An additional 6 million homes receive their drinking water through lead pipes.